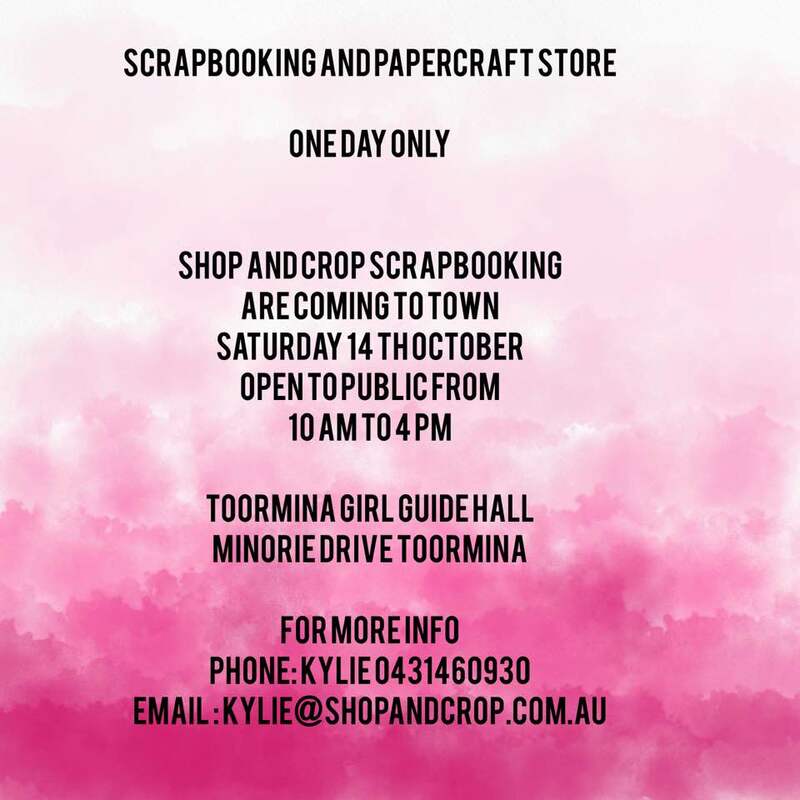 If you are in the Coffs Harbour and surrounding areas this saturday 14th October 2017 please visit the Toormina Guide Hall, Minorie Drive, Toormina NSW 2452 for some shopping and free demos with Kylie, Darryl and Elisa from Shop and Crop Scrapbooking!!! The shop will be fully stocked with all our lovely kits, paper collections and embellishments plus mixed media products. Contact Kylie for more details on the number below!